TUCSON, Ariz., Oct. 9, 2018 /PRNewswire/ -- The U.S. Army has completed qualification testing for a new proximity fuze that significantly enhances the combat-proven Stinger® missile produced by Raytheon Company (NYSE: RTN). During recent testing at Eglin Air Force Base in Florida, the upgraded weapon system scored a perfect 100 percent hit rate against a variety of targets. The missiles were shoulder- and vehicle-launched. The new proximity fuze enables the lightweight, self-contained air defense system to destroy a wider array of battlefield threats such as enemy unmanned aircraft systems by detonating the missile's warhead near the target, while maintaining its hit-to-kill capability. "Equipped with a new proximity fuze, Stinger is an affordable, near-term and proven solution for countering emerging threats in the battlespace," said Kim Ernzen, Raytheon Land Warfare Systems vice president. "Together with the Army, we are putting the most capable Stinger yet into the hands of our brave men and women on the battlefield." With qualification testing complete, the Army can move toward a near-term fielding under an Urgent Materiel Release. 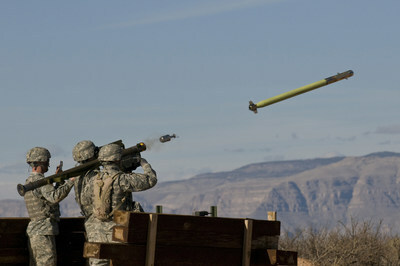 Plans call for the new proximity fuze to be integrated into Stinger missiles as part of a Service Life Extension Program to be conducted at the Army's ammunition plant in McAlester, Oklahoma. Combat proven, the Stinger missile has more than 270 fixed- and rotary-wing intercepts to its credit. It's deployed in more than 18 nations and with all four U.S. military services. The weapon can be rapidly deployed by ground troops and on military platforms, and has been integrated for use on the Apache Attack Helicopter.